So we all have those super lazy days where you just don't feel like wearing much makeup and/or you literally don't have time to do the full routine! Here is what I do when I am short for time! For this look I was able to do my makeup in under 5 minutes which is pretty handy for those super late days. First lets start off with the makeup! Recently, my face has been on my side, and I haven't been sprouting spots left, right and centre (always a good thing), which means that my makeup routine is significantly easier! You will definitely want to start of with a clean and moisturised face (which should already be a part of your skincare routine), before applying your foundation. Here I've used the Rimmel Match Perfection Foundation in Ivory. This foundation is one of my favourites as it blends so well, and is so light and natural. It is so simple to use, and I like to just apply it with my fingers (which is perfect for when you're in a rush or if you don't want to do anything too effortful!). As I have already mentioned, my skin has been kind to me lately so I skipped the concealer step (which you may like to add if you are feeling that you need it). I moved swiftly onto setting my foundation with the Rimmel Stay Matte Pressed Powder in Transparent. This is definitely my favourite powder (mainly because I haven't actually tried many others because I am pretty happy with this one, but I do want to try out the Soap and Glory one). Now we don't want to look like we haven't put any effort into our makeup so you are going to want to whip out your mascara. Here I am wearing the Maybelline Falsies Flared Mascara. 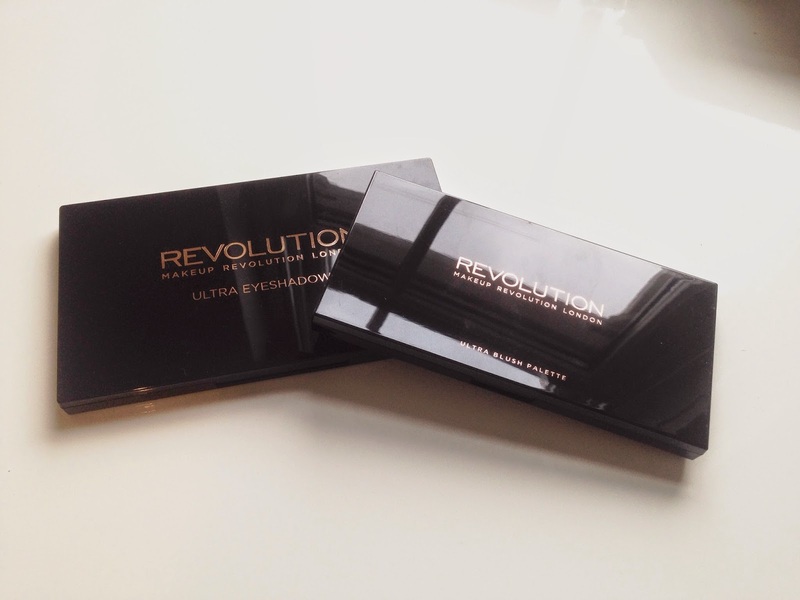 This one is perfect for giving great volume to your lashes, and it doesn't clump! What more could a girl need? Next I simply filled in my brows very quickly with the Sleek Brow Kit in dark just to give them more definition (because I swear it can make all the difference)! Now finally you can choose the easiest and most accessible lip product to simply colour those lips! Here I am using the Maybelline Baby Lips in Pink Punch which I think is a perfect natural looking shade. It is also so easy and quick to apply, that it is impossible to stuff it up (which is perfect if you are in a rush)! Now onto the outfit! When I am in a rush, or am having a lazy day, I will always resort to leggings! They are so comfortable and easy to wear and they look great with just about any T-Shirt. 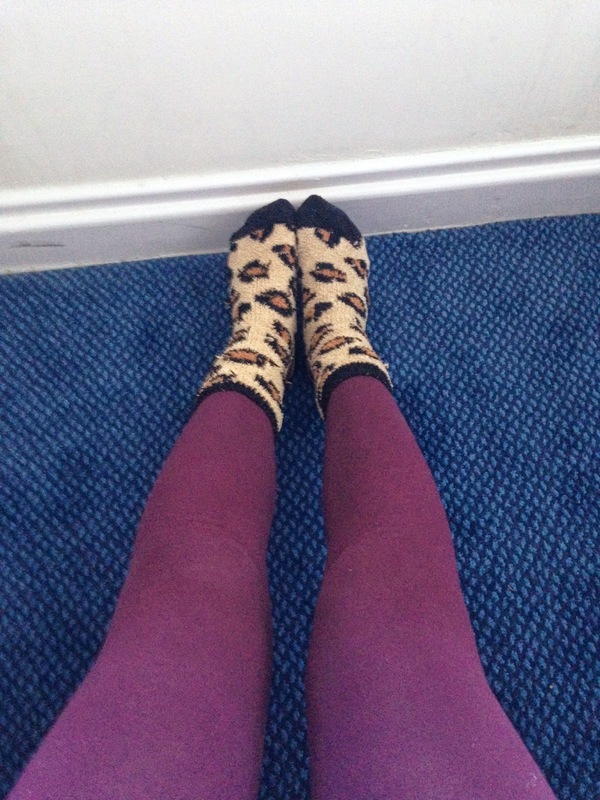 I can't count the number of times I have been running late for uni and have pulled out my leggings and paired it with either a jumper or a hoodie (this is how you can tell if I am running late, because it is basically the only time I wear leggings). Here I am wearing a shirt that I got from Primark which I love because it has the name of one of my favourite cities in the world, New York!! T-Shirts are just so easy to wear, as they don't really involve much effort to pair with just about any leggings. Here I am wearing some burgundy leggings that I picked up about 2 years ago from New Look I believe. The massive black cardigan was on sale for £5 at H&M about 2 years ago. And to finish off this very lazy look, I simply slipped on my fake Ugg Boots from Primark. And it truly wouldn't be a lazy day without fluffy, cozy socks! Mine are from Primark. I hope you have enjoyed this post! I apologise for it being so long, I just kept typing and typing and before I knew it, I had written an entire essay. Let me know what you do when you are in a rush/ are having a lazy day! And I have a very exciting post coming up so stay tuned for that!! Hope you are all having a great Easter!!! I really enjoyed this post! The shirt is super cute. I really have been loving floral prints lately. When I'm in a rush or having a lazy day, the three things I have to do is concealing my under eye circles, filling in my brows and putting on mascara. Happy Easter! Thanks, I'm glad you enjoyed it!! I totally agree!! Mascara and brows are a must!! Im glad you enjoyed it! You should definitely try it!! The floral top is very pretty! Arn't they just the best?! It is amazing!! You should definitely get it! This is great! The outfit seems comfy and fashionable at the same time plus you're makeup is lovely! You look gorgeous! I love the dress and the accessories are on point! So pretty! Thanks!! I love the stay matte powder!! aw! it's such a cute look!!!! Hi! really love your T-Shirt and you look really great! love your socks; soo F E S T I V E! Love your makeup tips. Im also a fan of Falsies mascara, Great blog! I love the graphic writing on top of the floral print of your top, so into it! We love that you've kept everything so simple and relaxed! That floral tee has to be our favourite though! It's a nice balance of girly and grunge! I am following you on GFC and Bloglovin, hope you follow back! I just found your site through google.Thanks for sharing a beautiful and high quality information.I am watching Women Dresses . Its interesting ..